What ethical dilemmas face researchers who work with young children? 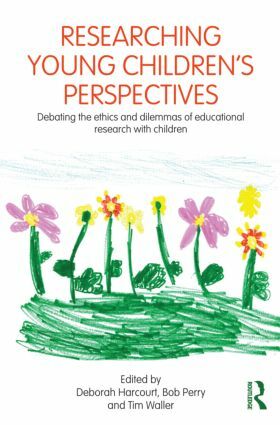 Researching Young Children’s Perspectives critically examines the challenges and complexities of rights based, participatory research with children. Rather than approaching these dilemmas as problematic issues, this book positions them as important topics for discussion and reflection. How ‘participatory’ can research be with infants under eighteen months? When should listening through observation stand alone? What is the distinction between methodologies and methods? How can all young children be assured of a voice in research? The authors also present seven separate case studies which demonstrate exemplary research with young children. Each study is accompanied by insightful commentary from the authors, who highlight the issues or difficulties faced and propose potential solutions. If you are a student at undergraduate level and above, this book will give you all the confidence you need to conduct your own high quality research with children.